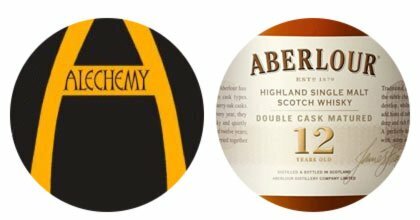 Not tried pairing whisky with beer? You’re in for a treat. Find out what works best with our ‘boilermaker’ pairing guide. There are few things more satisfying than the ritual of pulling from a good beer after a long day at work. Throw a measure of whisky into the equation and you’re looking at a combination most definitely more than the sum of its parts. The Americans have long honoured the fact. The Boilermaker, or the ‘shot and a beer’, has become something of a blue-collar institution the length and breadth of the country – a serviceable, DIY ‘cocktail’ engineered to deliver maximum satisfaction with a minimum of fuss. 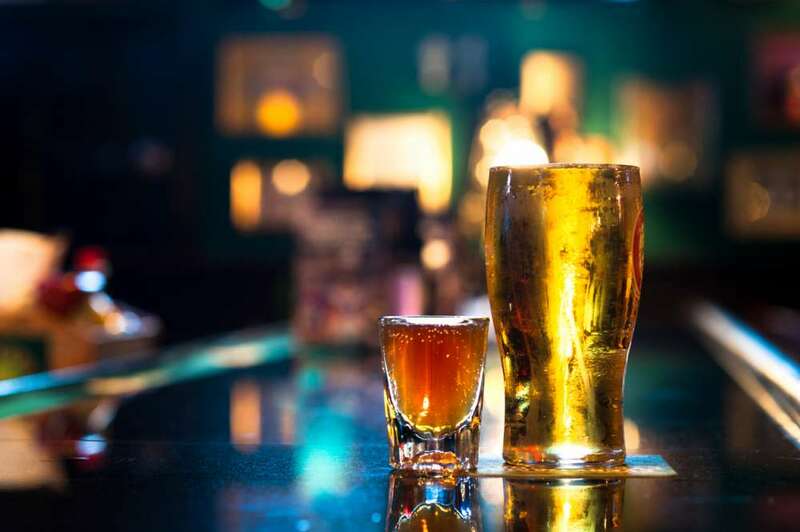 There’s nothing wrong in that – but it is well to realise that the humble pairing of whisky and beer can be lifted beyond such base mechanics. If you regularly combine two similar drinks, before long you’ll want to start assessing what works well with what. But where to start? After all, there are more possible pairings than people in the world. We’ve spoken with Frank Murphy, proprietor or the world-famous Pot Still pub in Glasgow, Scotland, to find out. Bourbon. A nice, big, fat, corn-led whiskey. Obviously there is plenty of variety on offer, but if you stick with what they put on the stand as corn-led bourbon you’re looking for something that has a bit of weight to it and a bit of flavour. 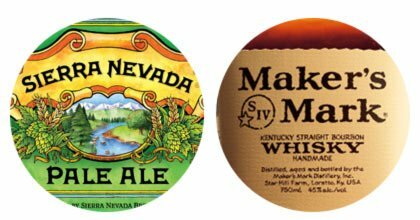 An American red ale would be a cracking start with bourbon – something that reflects back on where the whiskey comes from. In the same context, if you’re looking for something lighter and hoppier, Sierra Nevada Pale Ale would be fantastic. It’s got a strong, astringent flavour, so it’s a good palate cleanser. Any trace of the oily corn body is washed away if you’re drinking a bourbon that’s taking things head on. Traditionally all Canadian whisky was called rye, but it’s really just blended whisky. Canadian Club, for example, is a blend of grain, corn, malt and rye whisky, brought together in the right proportions. It’s a light, easy-drinking whisky, and very mixable. Today, there are lots of really interesting whiskies coming out of Canada. Take Crown Royal’s Harvest Rye – you always know when you’re drinking rye whisky. The classic call is rye and dry, meaning Canadian whisky and ginger ale, so a ginger prominent beer would fit the bill perfectly. Try Williams Bros. Midnight Sun. The thing that makes Irish pot still whiskey different is the inclusion of un-malted barley, so there’s a little bit of a nutty character there. The pot still variety is just a little bit fuller-bodied than the likes of Jameson, in which case you’re thinking of a brown ale that’s got a malty, nutty flavour to match. 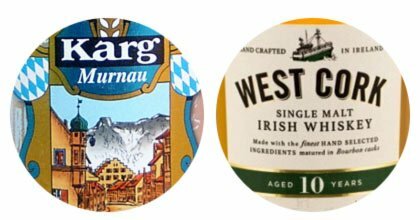 Then again, if you go for the very gentle, easy drinking style most often associated with Irish whiskey, then try a German weissbier – something which has been softened by keeping its sediment, which isn’t fizzy, which doesn’t bloat, and which has the same light banana flavours that you would associate, in whisky terms, with a really good bourbon cask maturation. For complementary flavours, German rauchbier is ideal. Like Islay whisky it’s smoked, but it’s also quite different. The grains are usually smoked over beechwood, so you still have that very pungent, smoky, bacony flavour, but none of the iodine notes in peated whisky. 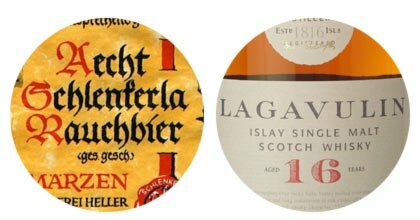 You really have to judge it on what level of smoke you’re going for: something like Caol Ila or Bowmore requires rauchbier which is just bacony, while the heavily peated whiskies like Laphroaig or Lagavulin need rauchbier which is really quite hefty. 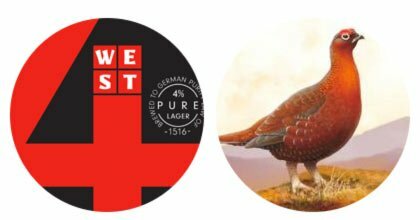 On the other hand you could go for something contrasting, so a beer which packs an equal punch but which goes in a different direction – perhaps a big hop-forward IPA? Or even a stout – something complex and rich with enough weight to was over the top of any smoky whisky. 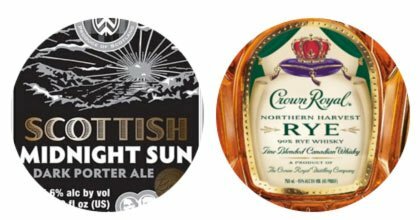 Speyside whiskies have those classic, warming, big, rich, fruity, Christmas cake flavours, so you’re looking for a beer with nice, malty flavours. A traditional 80 shilling would probably be the go to – it’s got enough body without being too rich or hoppy. Alchemy’s Ten Storey Malt Bomb is a fantastic definition of the style. At 4.5% ABV it’s got just enough extra outfit and plenty of complexity which goes up against the mix of oloroso, pedro ximenez and bourbon casks used in the maturation of classic Speysiders. With blends it’s open season because you have so many different styles. If you want an old style like Black Bottle which has quite a bit of smokiness you might want to go for something like a porter. or you might want something quite light like Famous Grouse or Glen Grant. Honestly, it depends what kind of day you’ve had. These whiskies have been designed for someone who has finished a long shift and just wants a couple of drams at the end of the day to take the edge off, and a session lager is exactly the same as that. You’re looking for a nice, gentle one which is quite soft and delicate with a suggestion of hops.